Just for fun (and a little late), I tallied up my 2017 reads. Here are some stats, observations, and favorites. In 2017, I read 33 books total. 18 of those were audiobooks (yes it counts as reading) and the rest were print or ebooks. I read 21 works of fiction and 12 works of nonfiction. The disparity there is really unusual for me — my F/NF split is usually much more even. Out of those 33 books, 12 were by non-white authors. Only FOUR were from LGBTQI+ writers. I’m still overwhelmingly choosing work by white women, and I need to do better about challenging myself in that regard. One intentional step I’m taking this year is to only purchase print books by non-white / LGBTQI+ writers, in the hopes of finding a better balance. I read 26 books by women and 6 by men. I’m pretty ok with that, though I’d rather read more trans and queer writers. Favorite fiction reads: N.K. 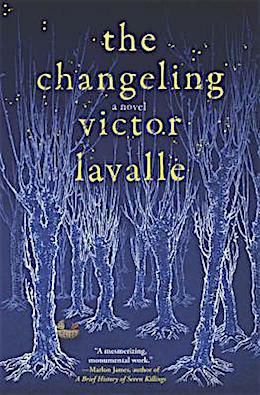 Jemisin’s The Fifth Season and Victor LaValle’s The Changeling. Both were absolutely outstanding reads, challenging and complex and incredibly compelling. I can’t wait to read more from both these authors, who I’ve slept on for too long. Favorite nonfiction reads: Belle Boggs’ The Art of Waiting is a stellar essay collection on motherhood and fertility and nature. Christine Hyung-Oak Lee’s Tell Me Everything You Don’t Remember was a fascinating, fragmented memoir of stroke and recovery, and a lovely meditation on memory. Most important read: Matthew Desmond’s Evicted: Poverty and Profit in the American City. This is an absolutely necessary read for anyone interested in social justice, and it’s incredibly well-written. Narrative and character in heavily-researched work. Fastest reads: Alissa Nutting’s Made for Love and Dan Savage’s The Commitment. Read each in maybe 2-3 days, which says a lot about how engaging both were. Unexpected standout: I don’t even remember how I came across Nicola Griffith’s Hild or why I decided to read it, but it was fantastic and ticked so many of my particular tastes at once. Magical feminist medieval fiction? Yes please. I need this to be a whole series ASAP. Guilty pleasure: WOW do I listen to a lot of thrillers! Some were great, some are totally pulpy, some were sleepier than my taste. But I don’t think I’ll ever stay away from British crime thrillers, the likes of Ruth Ware and Tana French, no matter how trashy! Here’s a list of everything I read. Happy page-turning!